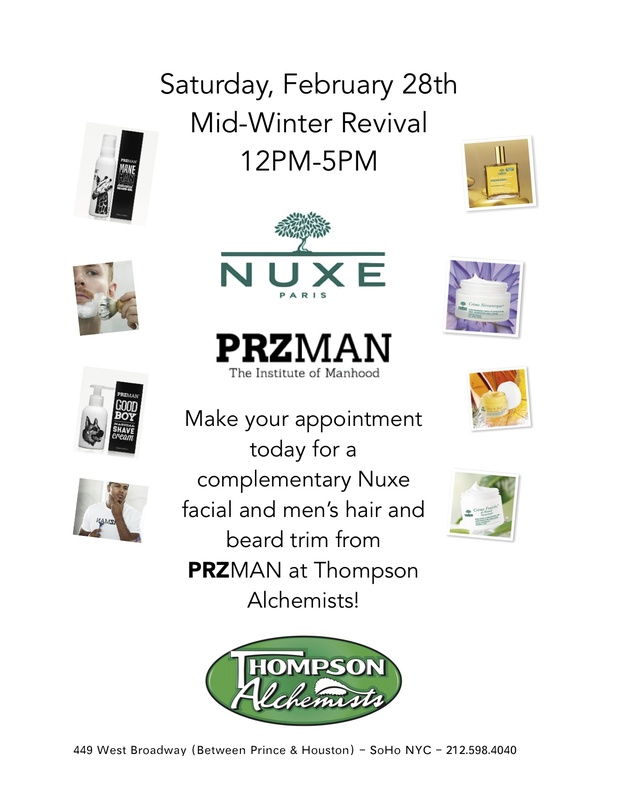 Nuxe skincare and PRZMAN will be visiting us at our West Broadway store! Get over the mid-winter blues and lavish yourself with the luxury and refinement of Nuxe and PRZMAN. Experience Nuxe’s high quality products based on nature, performance, and sensuality. And allow PRZMAN to teach you what men’s grooming is really about! Please call (212) 598-4040 to schedule your appointment today!